Thanks Jeff. We really appreciate the feedback. 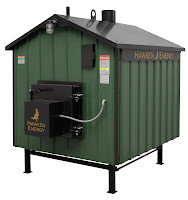 We're so happy that your Hawken Energy outdoor wood furnace is working out so well for you.